Home > Employment Law > How Do Employment Discrimination Lawyers Help Employees? How Do Employment Discrimination Lawyers Help Employees? Posted on: October 17, 2016 By: Christopher Brown, Esq. When you suspect employment discrimination, it can be difficult to fight back against your employer on your own. Working against your employer is often intimidating, and your employer may try to explain away the situation or simply ignore you. Employers sometimes take advantage of the fact that employees may not realize that they have specific rights under federal and state laws when employers discriminate against them. In those situations, having an employment discrimination lawyer to help you assert your rights can be extremely beneficial. Employment discrimination lawyers know when what your employer is telling you is wrong, and they can fight back on your behalf. You do not have to remain passive. You can learn about your rights and get help asserting them by using an employment discrimination lawyer. Employment discrimination lawyers help in a variety of ways. Some of the most important benefits are laid out below. When an employer is discriminating against an employee, one of the first questions that an employee (or potential employee) may ask is: Can my employer really do that? The only way to know for sure is to explain your situation to an employment discrimination lawyer. He or she will consider the facts of your case to determine whether your employer has violated a federal or state law. You may not recognize employment discrimination right away when it occurs, but an experienced employment discrimination attorney will. There are situations where employers act in a way that seems discriminatory but may not be. If you suspect that your employer has taken a negative action against you because of one of the above traits, you should talk to an employment discrimination attorney. He or she will be able to tell you if your employer is acting in an illegal manner, or if what they are doing may be unfair, but not necessarily against the law. Employment discrimination attorneys are professional case evaluators. An experienced lawyer will be able to tell you whether you have a claim for employment discrimination. Recognizing employment discrimination and evaluating a claim are two different skills. To have a valid legal claim, you must meet additional criteria, including showing that you have suffered in some way because of the discrimination. You may also be able to introduce direct evidence of discrimination if there is any. For example, if your employer specifically told you that he was firing you and replacing you with someone younger because you were too old for your position—then you likely have a very good age discrimination claim. Your lawyer will consider all of the facts of your case to determine whether you have a valid legal claim for discrimination. Remember, just because employment discrimination has occurred does not mean that you definitely have a legal remedy. Your lawyer can let you know if there is a difference under the unique facts of your case. Your attorney will be able to gather evidence on your behalf that is favorable to your claim. You may not even realize what types of information will help your claim, but your attorney will be able to help with this process. Once you assert a lawsuit, your lawyer can help you use the special investigative powers that come with bringing a lawsuit. One of these is gathering information through the discovery process. You can request that the other side (your employer) produce certain information through the discovery process. If the employer does not produce the requested information, you may be able to seek court intervention and have a court order them to provide information. Your employment discrimination lawyer can help with this process. Lawyers can also gather information and evidence from other people or entities that are not involved in the case as well. They do this through the subpoena process. A subpoena is an order by the court to produce information or to appear to answer questions. While you could undergo this process on your own, there are very specific rules that must be followed to have a valid subpoena. A failure to follow these rules can invalidate the request for information and delay or harm your case. Gathering information and evidence is a time-consuming process. One of the major ways that attorneys help in this area is by doing all of this work for you. Attorneys gather evidence much more efficiently than the average person because they know what they are looking for and how to get it. They also often know the right person to ask. If your attorney is gathering evidence, that means that you do not have to. You can focus on other aspects of your life that are much more important than your discrimination case, like spending time with friends and family or searching for another job, if necessary. Time is precious, and you can be spending it doing much more worthwhile things than gathering information for your case. Employment discrimination claims are unique under the law. They involve several federal and state agencies before you ever reach a courtroom. In fact, many employment discrimination cases are resolved long before you ever see a state court judge. That means that many of the rules and regulations that would apply to your average legal case do not apply in the employment law context. The most striking example of this difference is the involvement of the Equal Employment Opportunity Commission (EEOC). The EEOC is a federal body that is specifically designed to help employees assert claims against their employers for discriminatory practices. Bringing a case to the EEOC involves filing a specific form with your local EEOC office. You only have 180 days after the alleged discrimination occurs to file a charge. This deadline is in stark contrast to the years that you may have to file other legal cases, such as a personal injury case. This deadline may vary depending on the type of discrimination that you are asserting and state laws on the issue. Once you file with the EEOC, it will start an investigation process. During this process, the EEOC will determine whether you have a valid legal claim for discrimination. In many situations, your attorney will have already made this determination before he or she helped you with the claim process with the EEOC. You cannot assert an employment discrimination claim on your own without working with the EEOC first. Legislation is designed in this way to encourage the use of the EEOC and to keep employment discrimination claims out of courtrooms where possible. Many individuals do not realize that they must go through this process first, which can actually defeat your claim. Employment discrimination attorneys are well versed in these legal processes and requirements. They can help you jump through the hoops that you need to in order to get your claim in front of the right agency or court so you have the best chance of asserting a successful claim. Unfortunately, some employers will only take you and your claim seriously once you engage an attorney. This is particularly true if you work (or worked) for a large employer that has its own legal team or lawyers on call. Employees can be somewhat powerless against this type of legal defense. It can even be difficult to get employers to have a meaningful conversation about suspected employment discrimination. Using an employment discrimination lawyer helps even the playing field. Employers cannot walk all over you or take advantage when you have an experienced attorney fighting for you. Getting an attorney signifies to your employer that you are serious about your claim, and you are not going away. If you feel like you are not being heard, or your employer is ignoring your concerns, it may be time to get a lawyer. 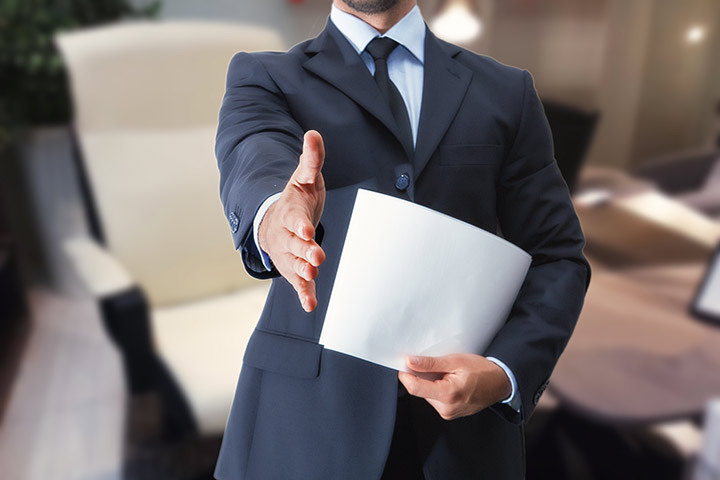 Because employment discrimination claims are so unique, it is important to use an attorney that has employment discrimination experience. The attorney that wrote your will may not be a good option for your case. Ask potential attorneys about their relevant experience, specifically how many cases they have handled that are like yours. Ask about their success rate generally and how other cases have ended. Our experienced employment discrimination attorneys know what you are going through, and we can help. We have the knowledge and skill you need to assert an employment discrimination claim. The clock is ticking on your claim. Contact The Brown Firm PLLC for more information.